One day a few years ago, my aunts and grandmother decided to take a tour of Texas and dig up some info on our relatives for a genealogy project. On the way, they took these pictures for me. I've never even been to most of the places they went, so I'm not familiar with any of this, and therefore the pics are in no particular order. Oh well. Enjoy. Weirdly shaped, but this is a split on the exit ramp of some interstate for I-20. 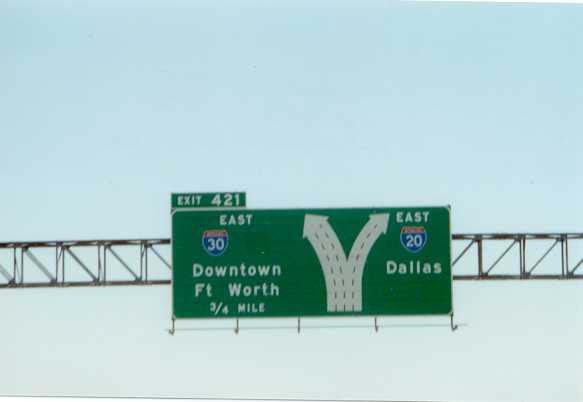 A scene from I-30 EB approaching I-35 E in Dallas. Another I-30 scene at I-35E. 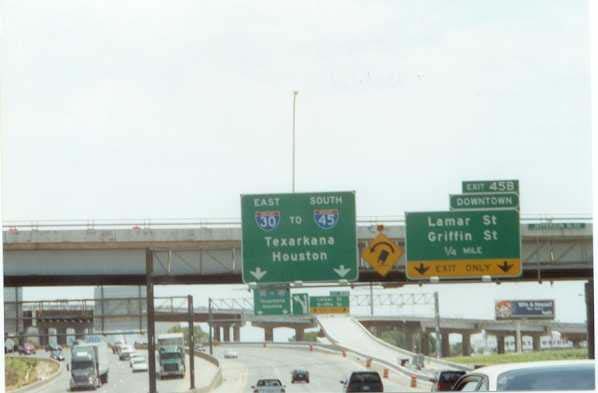 I-30 is signed as "To I-45" here. 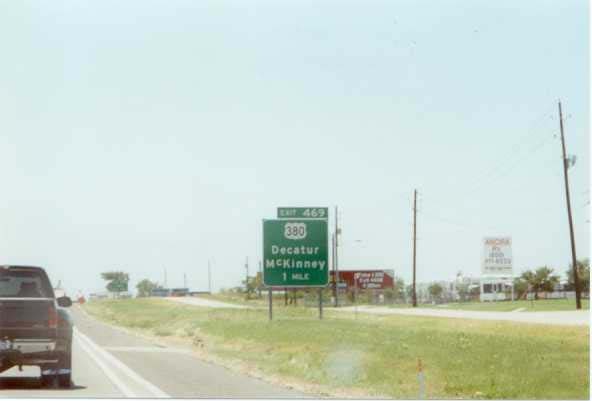 Coming up on I-45, which ends at I-30 while US 75 continues northward into Oklahoma. 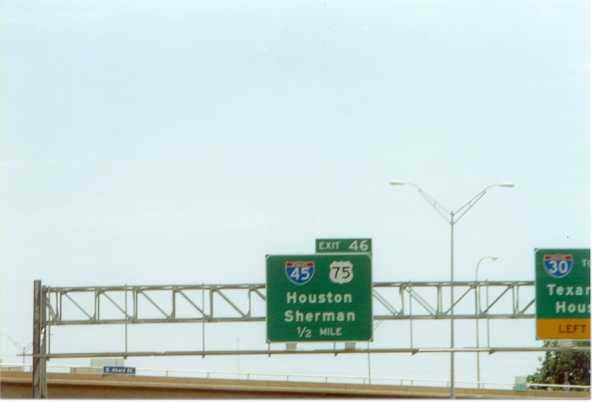 US 75 for a stretch north of I-30 is also hidden I-345. 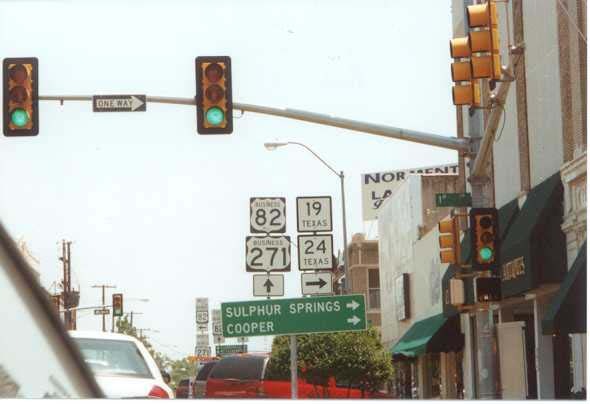 This is the southern terminus of US 75 also. 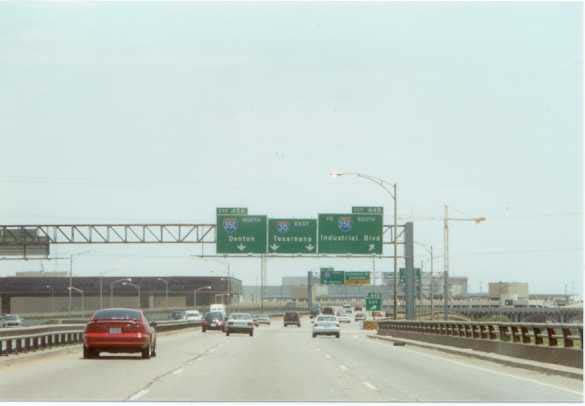 The split of the exit to I-45 and hidden I-345 (US 75). Off the interstate for a bit, this is a nice array of shields. 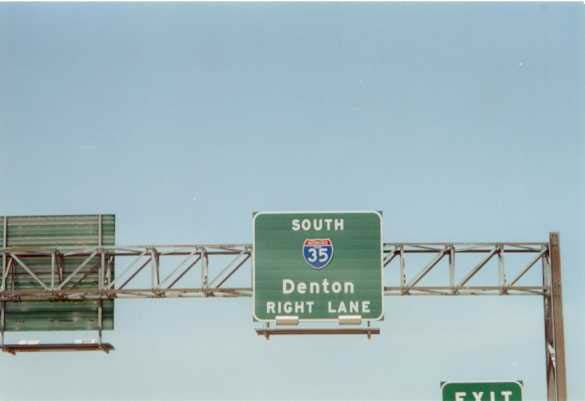 Now going the other direction on I-30, approaching I-35E again. 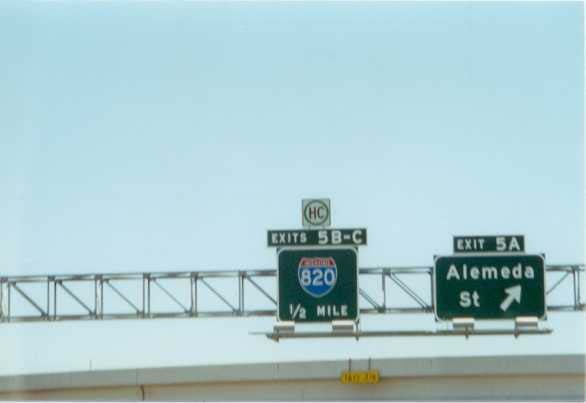 Nearing I-820 on I-30 Westbound. 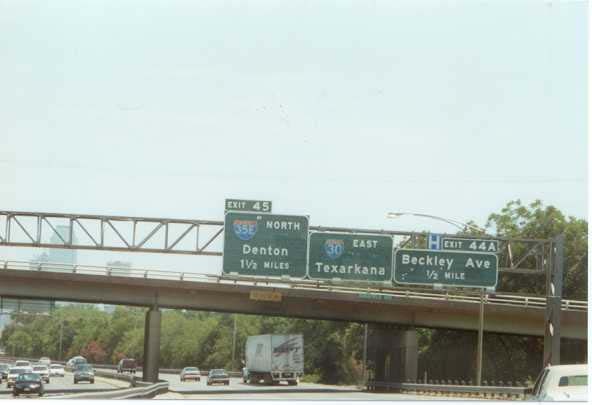 The BGS that heralds the western end of I-30 on I-20 EB. 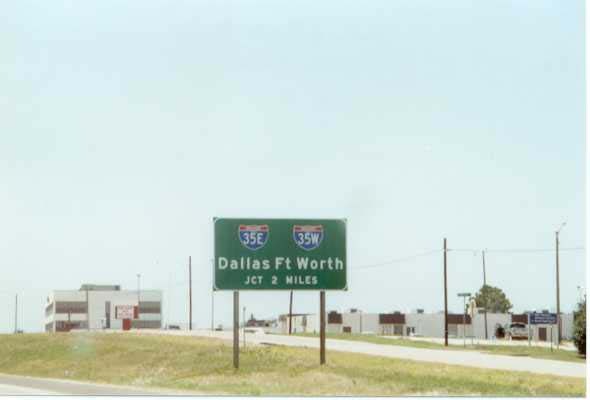 I-30 will go to Little Rock after passing through the Dallas-Ft. Worth area. 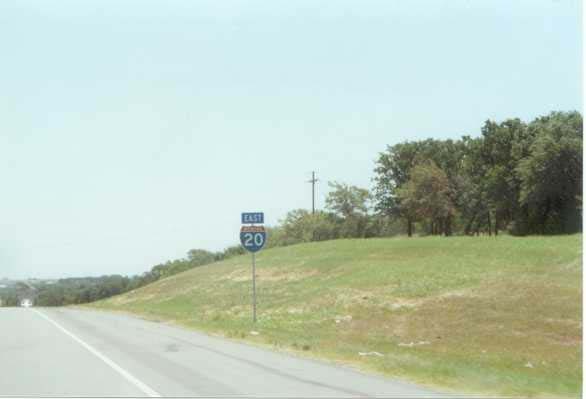 East I-20. This has to be on I-35E Northbound. 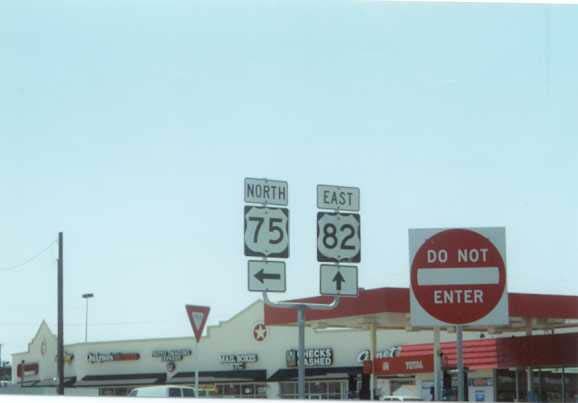 This is the southern end of US 81, but US 287 goes all the way south to Port Arthur, TX. 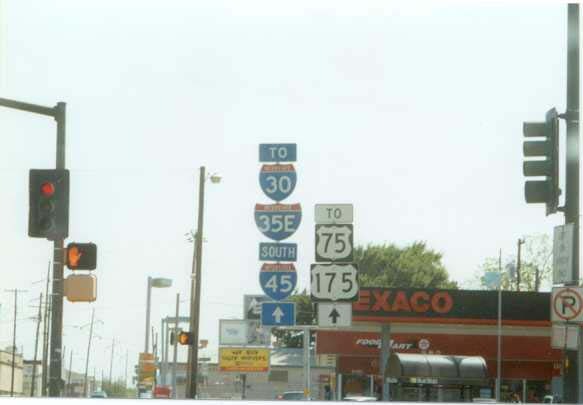 The joining of the two I-35s. 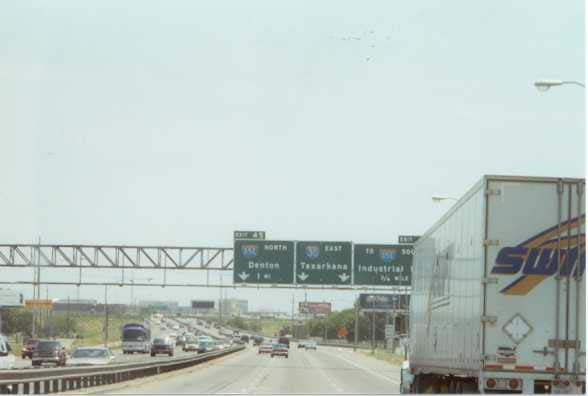 There's a bit of Dallas skyline in this picture. 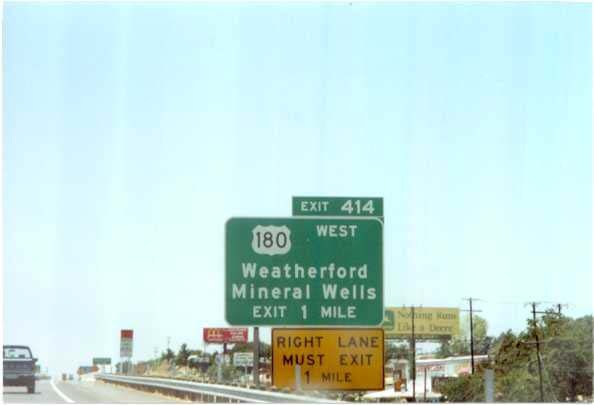 One mile before US 180's eastern terminus in Weatherford on I-20 WB. 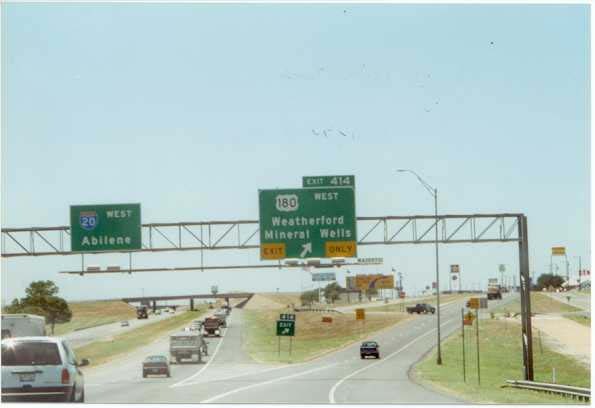 The actual interchange of I-20 and US 180 in Weatherford. 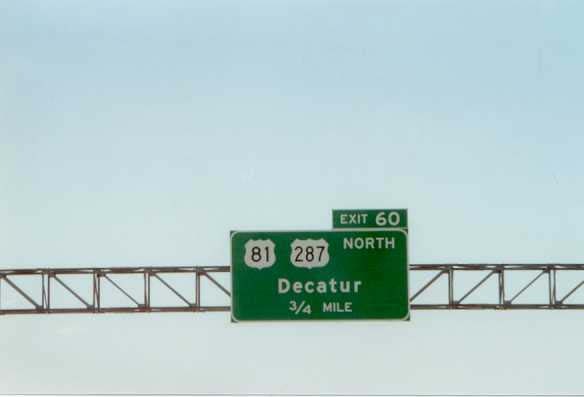 Some button copy on a US 377 BGS on some interstate. 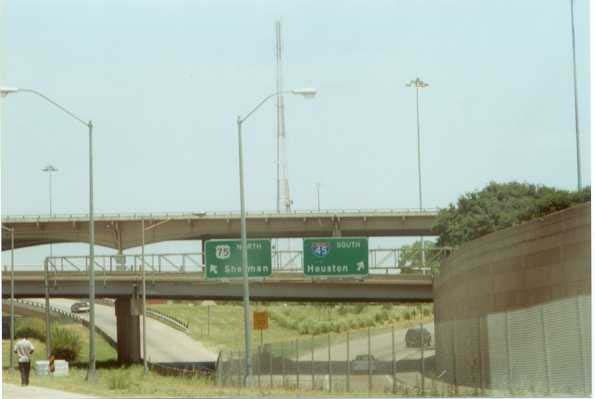 An old overhead for I-35 on some road. 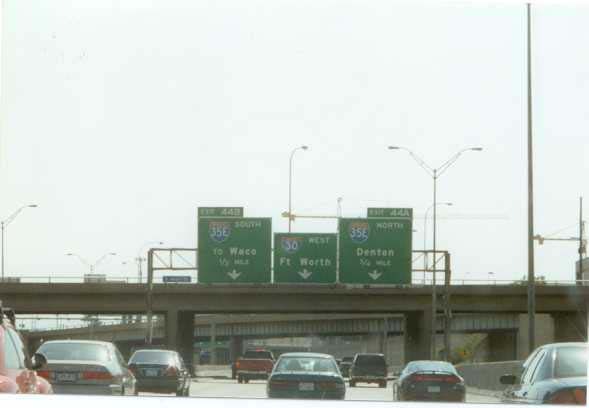 US 380 BGS on I-35 north of D/FW. 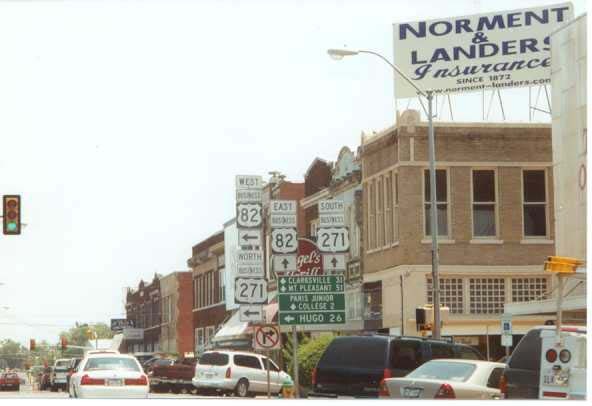 In Sherman (north Texas) now, on US 82 at US 75. A whole bunch of shields in a town called Paris. 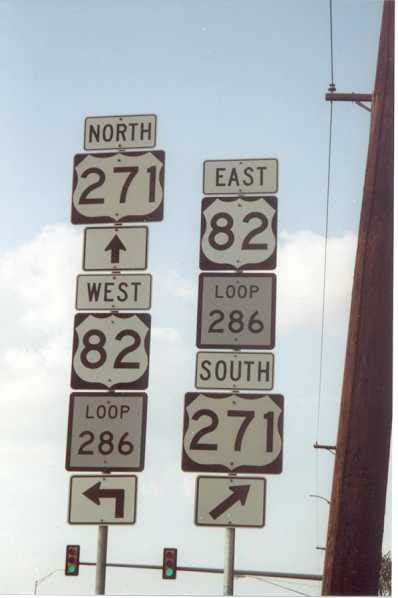 Wanna take the loop route or the US routes? An interesting couple of business route shields with the word "Business" incorporated into the shield itself. Still in Paris. But now, we encounter more traditional bannered US shields for the business routes in Paris. Maybe some day I'll be able to go see these pics in person. That's all for now, though.